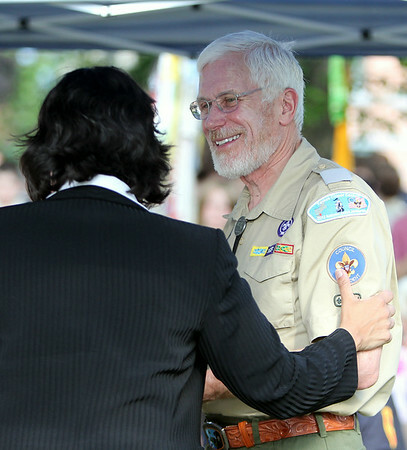 Michael Jewell, President of the Yankee Clipper Council Boy Scouts of America, smiles as he shakes hands with Salem Mayor Kim Driscoll after receiving a plaque from the City of Salem for their help during the Great Salem Fire of 1914. DAVID LE/Staff photo. 6/25/14.